The A2 Web hosting service is the fast solution for any online business. Whether the said business is a small one with low traffic or an established business with a high traffic flow at all times, the A2 service is one of the best recommendations. As a client, you won’t need to worry if you are not a professional developer because A2 Hosting service can cover all your concerns and also provide you with the best solutions. The web hosting service of A2 has been there since 2001, and in the beginning, it was known as Iniquinet. It was renamed to A2 in 2003. The data centers are located in three different regions which are Asia, Amsterdam, and Singapore. The shared virtual private server, dedicated server hosting, and reseller are the unique services provided by A2. The Lite, Turbo, and Swift options are available for the purpose of hosting, and there are unlimited choices and options to choose from the offered shared plans. It provides free SSD with an unlimited database and website plans for Swift and Turbo. You can easily integrate with any account on WordPress, Drupal, and or even with Joomla. The VPS hosts are available in managed and unmanaged web hosting which have different rates for monthly subscriptions. The managed VPS host provides you with a user-friendly platform, and one does not need to worry about the other management systems. In case, you are a developer the unmanaged VPS hosting service is the best recommendation for you as you can have control of the entire server. The reseller hosting service has different options available like the procedure plan, the progress plan, and a prosper plan. The data storage of these plans ranges from 60GB to 200GB. The SSD is free, and you can have unlimited accounts. The server requires you to sign up for the hosting on the dedicated server, and you can either select the Unmanaged Flex Server Plan or the Managed Flex Server Plan which are available at different rates per month but are still quite affordable. The former one has root access and is customizable while the latter one has free cPanel for the option of control on the panel with a 10TB transfer along with total RAM of 8 GB. Speed matters more than uptime because there is no purpose of fast speed if the site is not responding. The A2 Hosting Service server offers an uptime of 99.9% and that too with a guarantee. Furthermore, the staff is available 24/7 for providing assistance on any issues you might come across. They provide you with an excellent uptime. The speed of A2 web hosting is incredible, and they are one of the fastest streaming web hosts. HackScan helps in protecting data and keeps the sites secure. They are compatible with the available common content management systems. Some people might find it expensive than other web hosting services. A2 Web Hosting has some restrictions on the cheap plans they offer. For any business to become a success today, it needs to have a professional website. Although communication can be done through social media sites like Facebook, the company needs to have a hosting service which is top quality. The web hosting service by the name Bluehost happens to be one of the most suggested ones because of the offered balance of business features, tracking finances, and requiring less manual dealing. There are various options available to the experienced administrators for the management of this web hosting service. The Bluehost web hosting service does not require monthly packages which have to be updated after every 30-days. Instead, annual packages are available at affordable prices. You can also signup for two or three years, and benefit from the offered discounts. The parent company of Bluehost and Host Monster is the same, and therefore some of their features are similar to each other. The annual package allows for the transfer of free domain name, unlimited data transfer, 100GB storage, and it can also host a website. The additional package can also add the unlimited email feature, websites, and unlimited storage with an antispam tool. The offer of having a virtual private server by Bluehost is worth considering because it can handle high power, specified requirements compliance, and high traffic on websites. The Linux-based four tires are offered which have virtual private servers as well as hosting on a standard form with a total of 30GB storage, 1TB monthly data transfers, and 2GB memory. The ultimate package has the attractions of 240GB storage capacity, a memory of 8GB, and data transfer of 4TB per month. BlueHost offers the configurations of dedicated servers which can be used with the operating system of Linux which has the hard drive capacity of 1TB, monthly data transfer of 15TB, and RAM of 16GB. The packages of Bluehost with the four Linux servers are worth considering for a website running on WordPress. There are different packages for Blogger, Professional, Business, and even Enterprise contracts available at affordable prices according to your needs. Furthermore, Bluehost provides you with specific WordPress security as well as protects the entire procedure of installation by providing automatic backups of data. The content management system is preinstalled, and just with the WordPress login, you can manage posts, galleries, pages, and more similarly to other WordPress-hosted sites. You can easily build sites, manage email, filter spam, manage domains, and gather the statistics of the site with the assistance of Bluehost tools provided. Your website can easily be built with WordPress, and the files can be uploaded and managed through the Web panel. The three antispam tools offered by Bluehost make them efficient in protecting against spam. These tools are Spam Hammer, Apache Spam Assassin, and Spam Expert which secure your files and have an IP address for the protection of passwords, directories, and accounts. A wide range of options for web hosting. Easy to use interface for Web Hosting Management. Lack of monthly shared hosting packages. The add-ons need to be installed. GreenGeeks was launched back in 2008, and it is a web hosting service which is environmentally quite responsible. This web hosting provider is leading what’s known as green energy web hosting which provides an amount of energy that is better than the actual energy consumed by other grids. They provide their services to customers in more than 150 countries and are based in California. Furthermore, they have an excellent uptime guarantee, and they provide customer service 24/7. Trey Gardner is the owner of the company, and he has an experience of more than 30 years when it comes to providing web hosting services to the public. The control of a virtual private sector is under your command with the management and portal making options of the VPS server. The virtual private server is preinstalled, and it is easy to manage. It allows for web hosting, MySQL database management, accounts, and email with the cPanel/WHM. The order verification is just a simple process which needs to be completed, and then within 60 seconds, it is ready to use. The GreenGeeks provide clients with free migration services from competitors. The team helps you to safely transfer the files and data without any charges. GreenGeeks provide nightly backups of data to the virtual private server. It provides a safe environment by ensuring that none of the important data of the user is lost. This is for resellers. The access to an affordable eNom Domain account is also provided where you can not only register but also manage and control the customer names and domains. The virtual private server has a blacklisted free IP where you can perform regular scans on the IP’s which are blacklisted and then they can be cleaned or removed before any errors or malware occurs. The hardware offered is an enterprise level one with the unique services of monitoring and data centers. The virtual private server has a service uptime of 99.9%. The virtual private server is hosted by one of the best energy infrastructures in the world offering 300% renewable energy. The difference in green web hosting service and other web hosting services is that it offsets the outputs of carbon with the help of wind energy credits. The user is satisfied because the online business or blogging platform is providing the environment with safe output and offsets carbon emissions. In this way, GreenGeeks ensures no harm is caused to the environment and is protected. They have a low number of sites in each server, offering better speed. It is an incredible platform offering robust web hosting services. They have partnered with EPA Green Power which is an environment protection agency. Time might be required by some to learn website building. If you’re searching for a professional web host service, then the InMotion web hosting service is one you should look into. This web hosting service offers a virtual private server, dedicated, and shared services and even useful e-commerce tools. The web hosting service provided by InMotion has three Linux based plans of hosting. The first one is the most basic plan, and it can support up to six domains and two websites. The second one is the Power net plan which allows for 26 domains and six websites. The annual subscription of the Pro plan comes with the offer of supporting unlimited domains and unlimited websites. The hosting plans offered by InMotion have an unlimited storage capacity, e-mail, amazing customization capability, and monthly data transfers. The virtual private server of InMotion has monthly subscriptions, and they have top quality specifications with 8GB RAM and the capacity of monthly date transfers of up to 4TB. It offers a storage capacity of 200GB with MySQL databases, unlimited websites, domains, and e-mail. The Linux based web hosting services can be configured to the companies’ web servers which have a storage of 2TB with monthly data transfers of 15TB. The total RAM is 64 GB for the storage of a large number of data. It also has an operating windows system. The web hosting service of InMotion offers one of the best WordPress hosting packages in the form of specific elements which are available for monthly subscriptions and packages. They have a preinstalled system for management with an automatic software update and daily backups for retaining all your important data. The InMotion WordPress hosting service offers unlimited websites, monthly data transfers, and unlimited disk space which is different from some other WordPress hosts which are limited in their abilities and the quality specifications offered by InMotion. The overall convenience has been increased for clients through with the Bold Grid website. This web hosting service has several options for e-commerce. The Premium web builder can help you build an online store. While it is one of the affordable payment solutions, currently out there, it has a comprehensive dashboard which can easily track the sales and customers along with the payment options and shipping of products. The store can be made robust by simply downloading PrestaShop or OpenCart for free. The security features are of importance these days and InMotion offers the best of them with a backup of accounts which are less than 10GB in size. The security risks and malware scans can be performed by the Sucuri Security plugins from WordPress websites. The email accounts can be protected through the monthly subscriptions of McAfee. The SSL certificates can also be purchased for an entire year, also offering IP address detection. The plans offer unlimited email service. Logins are to be created separately for each add-on. 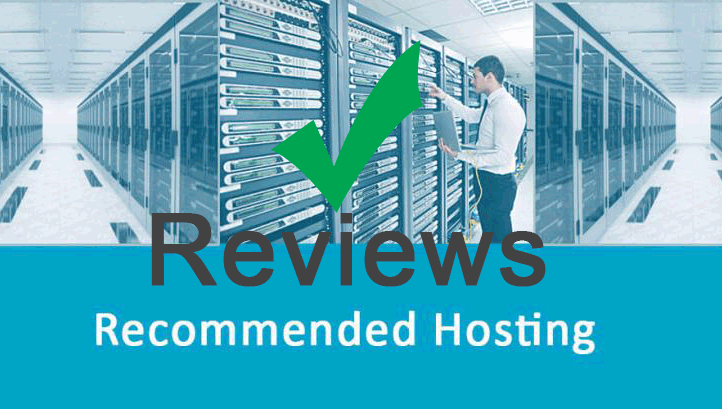 Compare the different hosting companies and then decide on the one you would rather use. In terms of ranking the WebHosts would be as follows. Feel free to click through to read more .